Home / Drama / Essays. / Honours 3rd Year / Shakespeare / Soliloquy of "Macbeth" and it's Dramatic Significance. 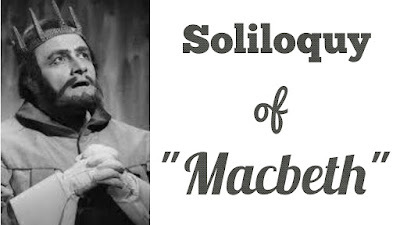 Soliloquy of "Macbeth" and it's Dramatic Significance. Soliloquy is a kind of “dialogue with the self." Etymologically it means "speaking while one is alone". When a character, alone on the stage, is speaking aloud he is making a soliloquy. 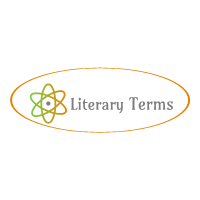 A soliloquy is effectively employed by a dramatist to reveal the inner and secret thoughts of the characters in a drama and supply to the audience the necessary information not conveyed through dialogue or action. even in this respect no other dramatist can come near him. Shakespearean soliloquies are, like his poetry and dramatic art, a true reflection of his literary genius. prophecies are in fact soliloquies that amply reveal the secret going-on in his mind and expose his character. They show Macbeth as a person given to reflection. When the Witches have uttered their prophecies Banquo finds him "rapt" in thought. When Rosse and Angus inform him of the conferment of title of Thane of Cawdor on him he cannot restrain himself from revealing to the audience his secret ambition of becoming King: "The greatest is behind". He looks upon the partial fulfilment of the prophecies "as happy prologues to the swelling act” of the imperial theme, He then goes on to express the inner conflict in his mind through a longer aside. He cannot decide whether this "supernatural soliciting" is evil or good. He admits that the thought of murdering Duncan has entered his mind and has frightened his conscience. These asides bear special dramatic significance. They expose the birth of evil in Macbeth's mind which leads to Duncan's assassination, the central act of the play. determination and proceeds to kill his sleeping guest. mind totally upset by a strong sense of guilt. Any noise terrifies him now. He can see blood on his hands that will make the “multitudinous seas" red. soliloquy is also significant as it throws light on Banquo's character. Of the other minor soliloquies, one that Macbeth makes in Act V, Sc. v deserves attention. This soliloquy where he says, "I have supped full with horrors", shows the numbness that has overcome Macbeth's feelings, and evokes a distinct sense of pathos. soliloquy he expresses the determination to go ahead and fight and not kill himself. But in the ensuing duel with Macduff, he is killed. never hints at personal animosity towards Duncan. It is Shakespeare's purpose to show that she acts solely for her husband's sake as Verity observes. of extreme nervous sensibility, She knows that she must bend her will to the breaking point, if she is not to fail in the middle of the work which now she means to do herself, though afterwards she makes Macbeth do it. This intense strain on her will, by the natural process of reaction, contributes greatly to her ultimate breakdown. golden diadem, which is to sear her brain". the dramatic purpose of contributing to the pathos of the tragedy. Banquo's soliloquy at the opening of Act III, Sc. i is significant in that it throws some light on his character. not at least show him as an embodiment of moral perfection. for the evocation of its intended atmosphere.